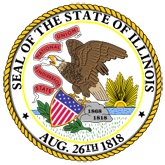 Illinois Regulation is a summary of the weekly regulatory decisions of State agencies published in the Illinois Register and action taken by the Illinois General Assembly's Joint Committee on Administrative Rules. Illinois Regulation is designed to inform and involve the public in changes taking place in agency administration. 1. Flinn Report: Illinois Regulation (20180713_July132018-Issue28.pdf).